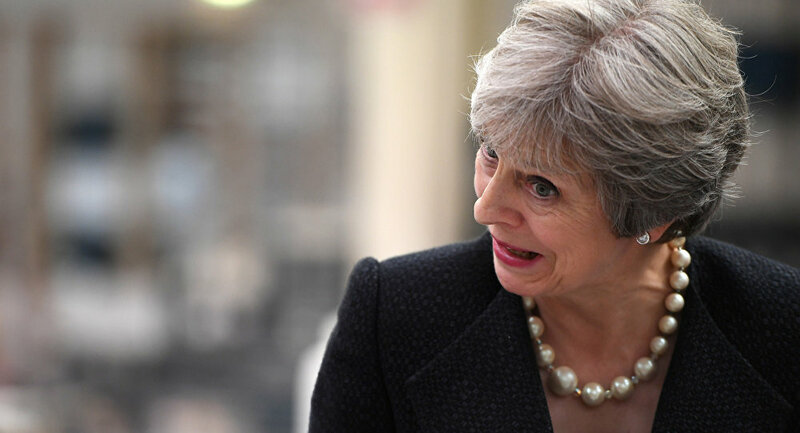 For months the British prime minister has been under threat of a leadership challenge from within her own party, with backbenchers and ex-cabinet ministers repeatedly slamming her Brexit strategy and trade proposals. Tory politician James Duddridge has seemingly taken a step towards ousting Theresa May as Britain's prime minister, calling for her resignation in a letter sent to the 1922 Committee on Wednesday. In his letter to the Conservative Party's House of Commons committee, the MP for Rochford and Southend East said May should stand down so the party can "move on", explaining that they need a "strong leader" who can deliver on Brexit. Moreover, Duddridge took a stab at May's popularity within the Tory Party, claiming to have not met a "single lawmaker" who genuinely believes she is capable of leading them to another victory in a general election. Just a day after Boris Johnson's speech at the Conservative Party's ongoing conference in Birmingham, Duddridge described the former foreign secretary as "inspirational", calling for him to replace May. "Theresa May is not the right person… Boris Johnson yesterday was inspirational. We can have a transformational leader. We can have a different choice," MP James Duddridge told Sky News on Wednesday. Earlier, cabinet sources suggested PM May could be allowed to remain in charge until after Brexit to maintain a level of stability and give her replacement a clean slate. Amid the Tory Party's internal leadership crisis, some opposition politicians and campaigners have been calling for a fresh vote on Britain's membership of the European Union to give the electorate a final say. However, PM May has ruled out a second referendum, insisting she already has a mandate for Brexit via the 2016 referendum.